A train provides a really good representation for illustrating the relationship between an underlay and overlay network. In this model, the tracks represent the physical network, the real world connection between two locations. The train acts as the underlay depiction of the transport. In networking this is SRC (Source) and DST (Destination), between which the packet exists for some duration before being acted upon. The relationship between the overlay and the underlay is similar to the relationship between the passenger car and the contents of the passenger car. 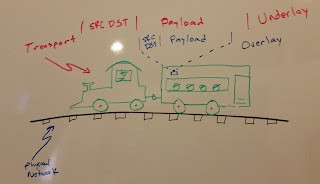 There is only a passing awareness between the two where the SRC and DST of the train is likely NOT the SRC and DST of the contents of the train. (Depiction below). As shown in the diagram (the sum total of my artistic talent), the passenger provides the intelligence, the "control plane management" of his/her suitcase. When the passenger leaves this particular train, it may be to get on another train (routing, switching, gateway or re-encapsulation) or maybe to a hotel or home (virtual or host operating system). 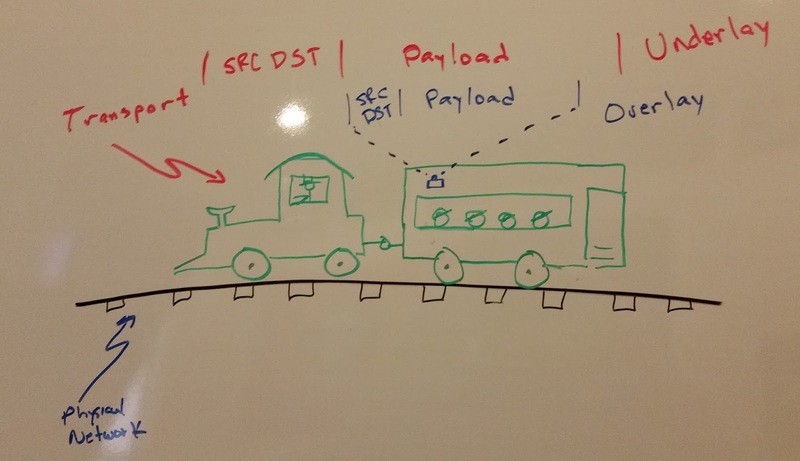 In such a way, the passenger moves the payload (their suitcase) from a SRC to a DST, sharing for the briefest of times the Underlay (passenger car) with other payloads with other SRC and DST. 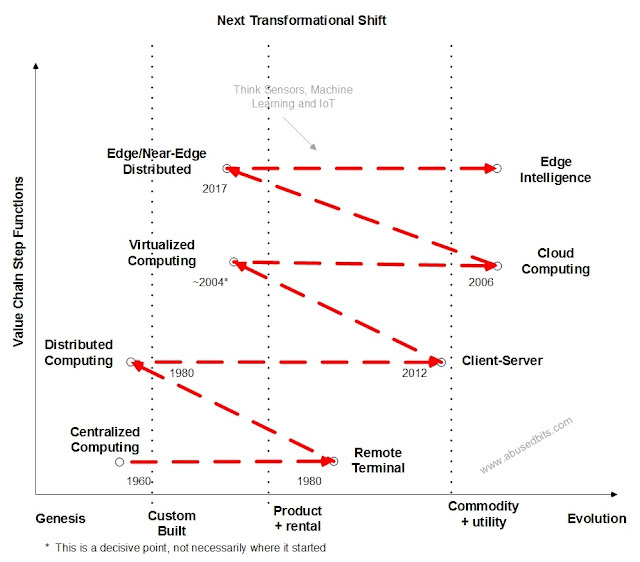 The end-to-end commute represents the path (or tunnel) that is traveled and much akin to the VxLAN or NVGRE tunnel that a packet in an Overlay network takes across an Underlay to get from one place to another.